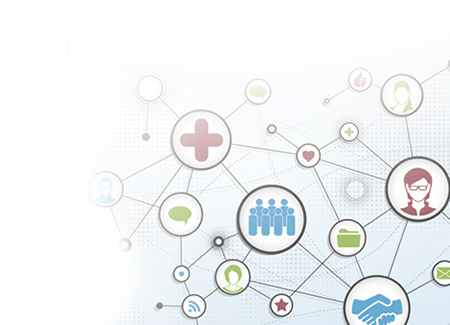 The Victorian Cancer Registry calculates the relative survival estimates five years after diagnosis with cancer. Relative survival is net survival from cancer - the percentage who would have survived if cancer was the only cause of death. 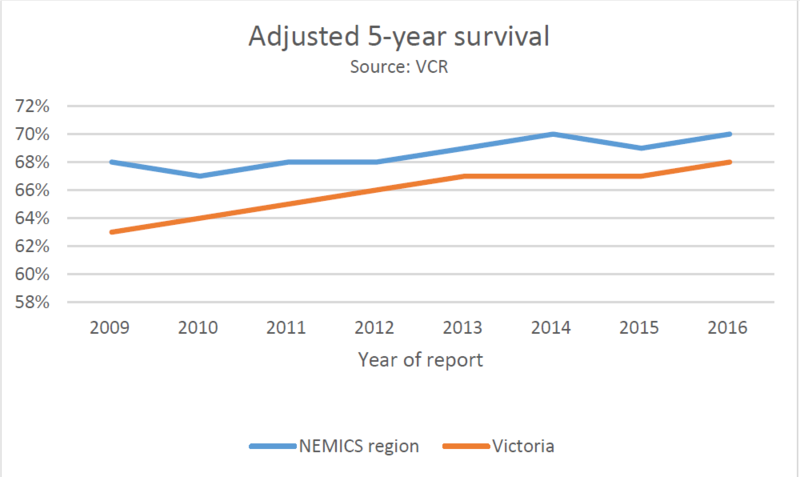 This graph is showing the survival result for people living in the NEMICS region at the time they were diagnosed with cancer and the results for the whole of Victoria.